This article first appeared in The Edge Financial Daily, on February 26, 2018. Ressence Type 2 e-Crown Concept. 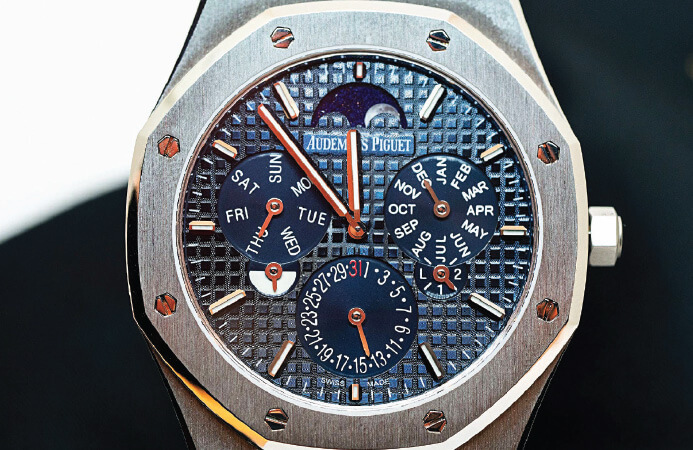 Audemars Piguet Royal Oak RD#2 Perpetual Calendar Ultra-Thin. 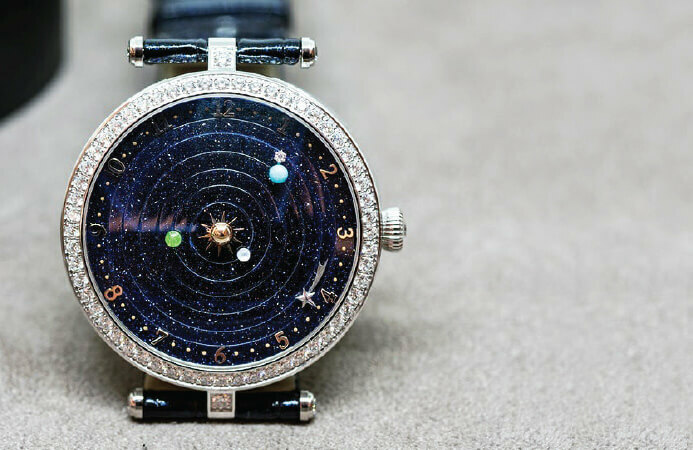 Van Cleef & Arpels Lady Arpels Planetarium priced at US$245,000 (RM960,400) on a strap, US$330,000 on a diamond-set bracelet. THE Grail Watch — we all have one. In year’s past, we saw a lot of mid- to top-level watches at Salon International de la Haute Horlogerie (SIHH), however this year we saw the focus shift to more commercial pieces at lower price points, a refreshing and practical turn. There were still a lot of highly complicated (and highly expensive) timepieces though that left plenty to our watch collecting imaginations. Here are our grail watches from SIHH 2018. This year I found myself drawn to a lot of dedicated ladies’ pieces. This both surprised and delighted me because either my tastes have changed or brands are now making more interesting watches for women. For the sake of this article, I will say it is the latter, which brings me to my grail watch from SIHH. For me, it was the Van Cleef & Arpels Lady Arpels Planetarium. This watch manages to feature a high-level complication (the planets rotate around the sun on Aventurine disks) and a beautiful timepiece to wear. I have never shied away from sparkly things, so this should come as no surprise to anyone but it is nice to see something that is both a conversation piece that looks fantastic on the wrist. First off, this is a grail that nobody can buy (at least not yet), but it was still easily one of the most-talked-about watches of SIHH 2018. Not only is the Royal Oak RD#2 a Royal Oak Perpetual Calendar in platinum, it is also the thinnest Royal Oak currently being produced, at just 6.3mm. Frankly, I love the fact that Audemars Piguet has been able to make a high complication that is thinner than every other Royal Oak in current production, and that includes, of course, the 33mm ladies’ quartz Royal Oak. If the definition of a grail watch is that it is desirable, rare, and only obtainable at great cost, the Greubel Forsey Differentiel d’Egalite more than fits the bill. 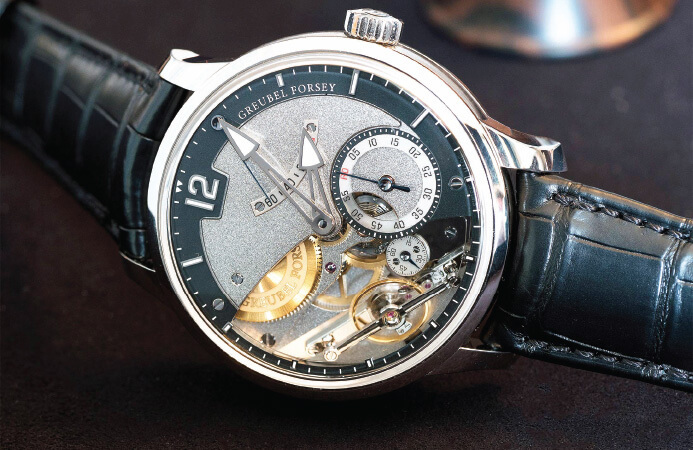 I find what Greubel Forsey does both conceptually and aesthetically irresistible; there is something fascinating about the narrow obsessiveness with which they pursue the most minute hypothetical advantages in precision timekeeping, as in this watch, the centrepiece of which is a kind of remontoire on steroids. And all those flawlessly finished surfaces get right in amongst me. I will never own one (I think) but better to have loved and lost, and so forth. Rarely does a watch actually change the game, but this one does without question. 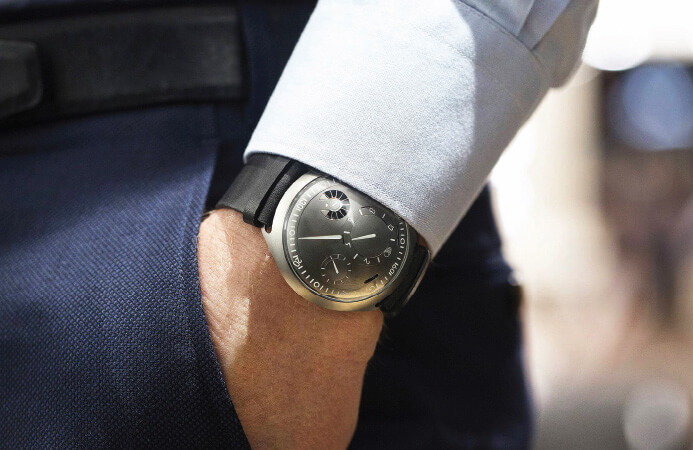 Ressence has essentially inserted an electronic regulating and adjustment device into an otherwise mechanical watch, combining the best that each has to offer. If the electronic module’s battery runs down, you have still got a perfectly functioning mechanical watch, but when it is charged you have a watch that keeps itself on time and can even adjust timezones with a simple tap. It’s a very 21st-century way to think about watchmaking and I can not wait to see the production versions of this concept watch later this year. What is there to say here, really? Yes it is big, thick, and unnecessarily complicated — basically everything I try to avoid in my watches — but damn, is it not cool? As a lover of chronographs and in particular rattrapantes, it is hard to deny what Lange has achieved technically with the Triple Split, and of course, what this signals to the rest of the watchmaking industry. They are the king of chronographs and while that may have been up for debate prior to the SIHH 2018, the Triple Split removes all doubt. This article first appeared in Hodinkee, a preeminent resource for modern and vintage wristwatch enthusiasts.